SSW F1 increasing SSW F2, 12 degC increasing 13, 4km max occasional mist and drizzle, 8/8 very low, QNH 1025 steady. 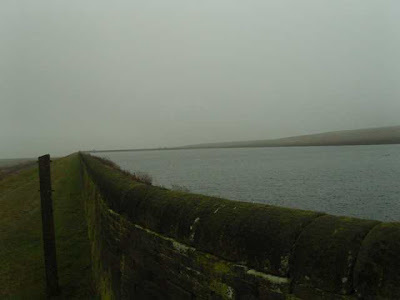 Mist lifting and drizzle ceasing just as the watch started was handy! The birds took a little time to get going this morning presume due to the clearing conditions and later sunrise (well obscure today). Despite the marginal conditions it was a good morning! Chaffinch groups all heading south were the most prominent species and even overpowering Meadow Pipits today. Flocks of up to 30 (but mainly 4 to 8) were seen and the flight call was constantly "in the air". 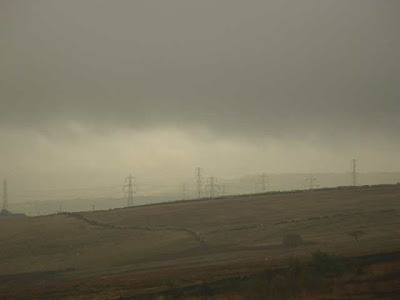 On several occasions groups were seen to penetrate in and out of the very low cloud base under which they were moving. A few Bramblings were mixend in with the Chaffinchs, evidenced by the call heard on several occasions. Mipits whilst frequent in ones and twos were relativly few and far between. The best bird of the day was a noisy Ring Ouzel, first heard in the wood and then seen protesting from the tree tops. This eventually left high to the south following a Mistle Thrush! Despite the mist, now not too deep and with a few holes to the upper sky above, calls on a couple of occasions were heard from unseen Skylarks above the cloud and obviously on the move in the clear not too far up.